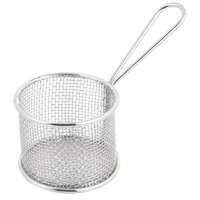 For a distinctive product presentation, serve a variety of foods in this 3 3/4" round stainless steel mini fry basket. 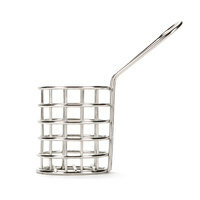 Great for a variety of fried foods, side dishes, appetizers, and even small entrees like popcorn shrimp or chicken tenders, this miniature fry basket provides a fun look that your guests will love. 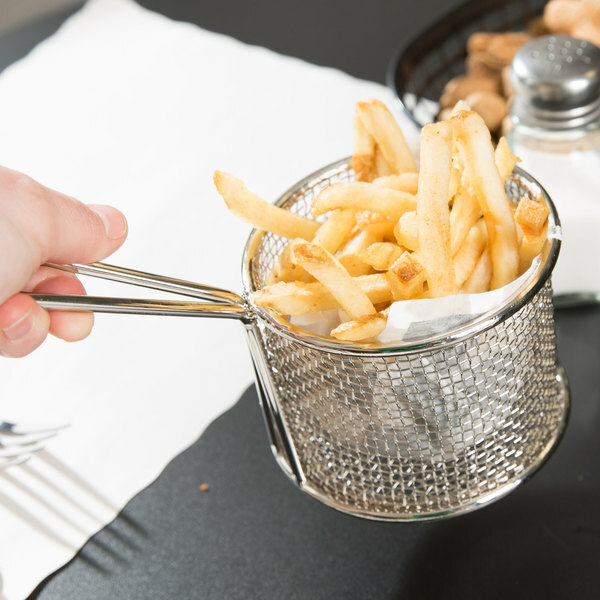 Whether you run a retro diner or an upscale bar, this fry basket is a perfect way to enhance your tabletop design. 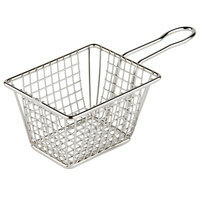 "The 3 3/4" stainless steel mini fry baskets work great at our restaurant for serving small order fries. 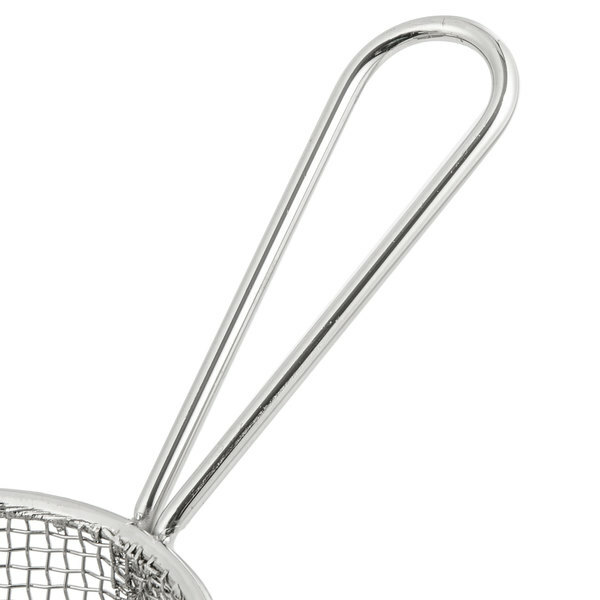 The basket is well made and customers love the presentation of the food." 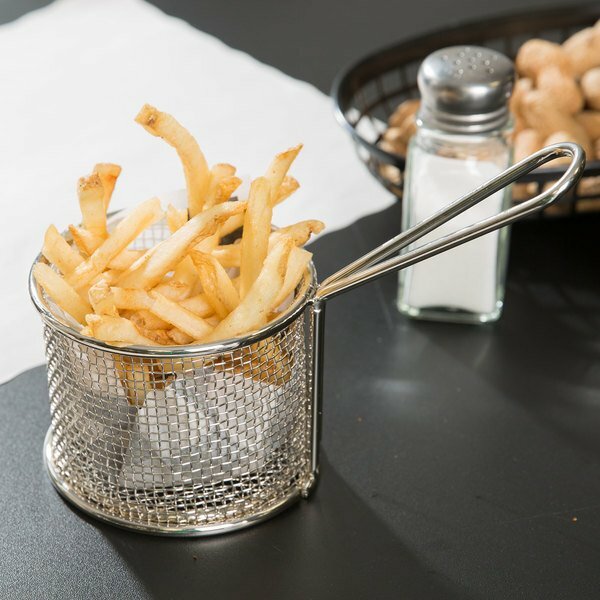 While the handle enhances the appearance of this mini fry basket, it also provides a convenient place to hold it for serving so your employees can keep their hands away from the food. 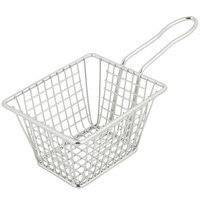 Designed to resist rust and corrosion for long-lasting use, this mini fry basket is made of durable stainless steel. 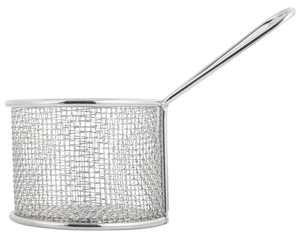 It can even stand up to use in a busy commercial restaurant environment. 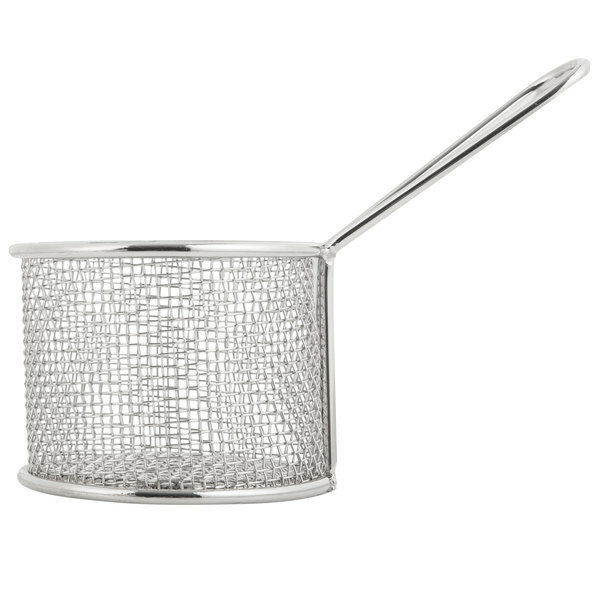 It's easy to pair this serving basket with food wrap sheets (sold separately) to serve up fries, mozzarella sticks, or popcorn chicken. Looking for an unconventional way to dress up your tables? 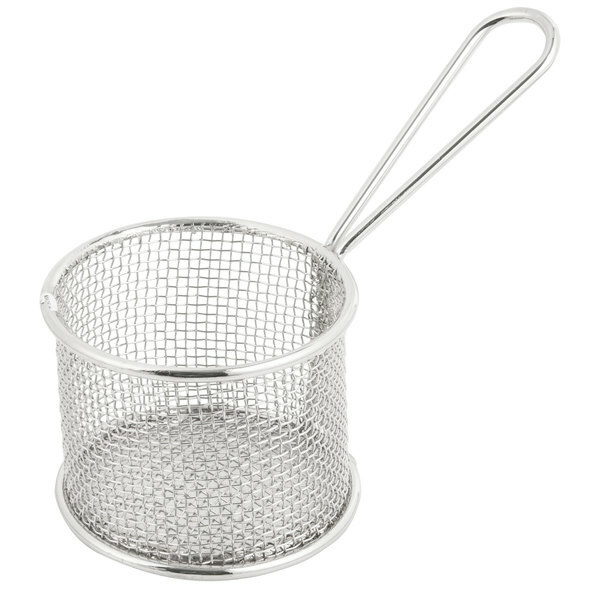 This mini fry basket is also great for holding sweetener packets, small seasoning shakers, or butter and jelly portion cups. 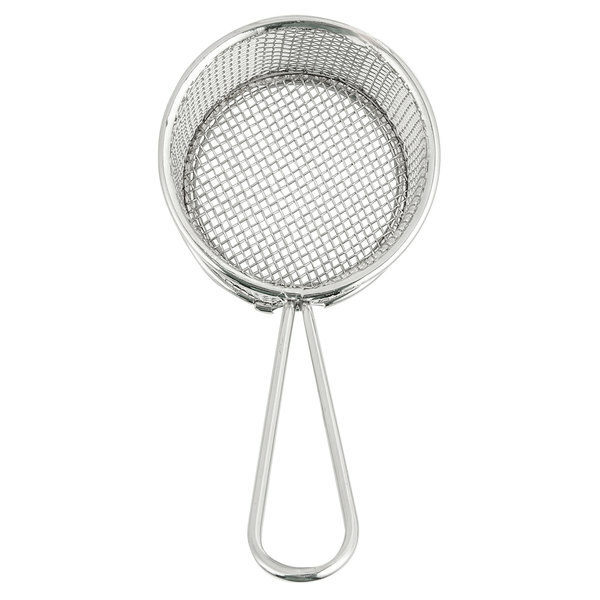 These are great, sturdy little guys that look great for donut holes, fries...sides in general. They weren't exactly what I was looking for but they're exactly as advertised and I think they'll last a long time! 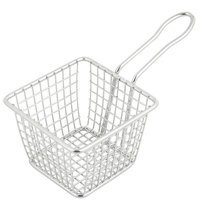 The 3 3/4" stainless steel mini fry baskets work great at our restaurant for serving small order fries. 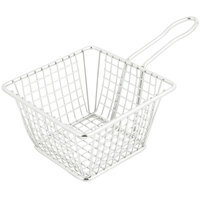 The basket is well made and customers love the presentation of the food. 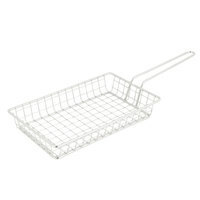 At my deli, we use this small basket to dip roast beef in aus jus to heat the roast beef without it breaking all apart. It works great and have already ordered a backup.